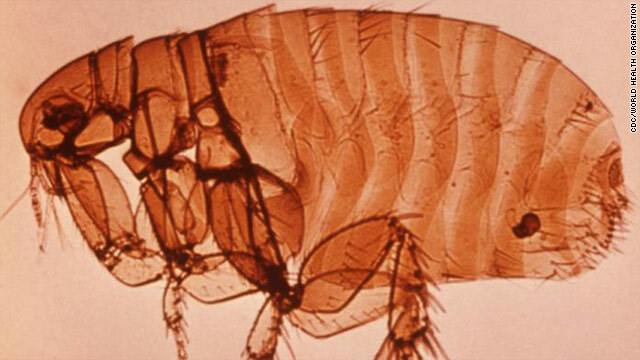 This flea, X. cheopis, is responsible for transmitting the bacteria strain that causes plague. Modern outbreaks – swine flu, bird flu, SARS – have been scary and deadly, but they don't hold a candle to a plague called the Black Death. The disease killed an estimated one-third of Europe's population, perhaps 100 million people. It's been a while, but scientists are now figuring out what caused the Black Death - at least, the one that swept through Europe from 1347 to 1351. They found evidence of the bacterium Yersinia pestis in the teeth of some of the medieval victims of the plague. Results are published in the Proceedings of the National Academy of Sciences. It is that time of year again. It is starting to get dark earlier. In some parts of the country, there's a chill in the air at night. And the kids have to go back to school. For many families, there are some rough days and maybe even weeks ahead as they help their children transition back to a schedule that requires them to get up earlier than they did in the summer. School-aged children need between 10 and 12 hours of sleep a night. If kids have been going to bed at 10 or 11 p.m. in the summer, it is unlikely that they can suddenly fall asleep at 8 p.m. the night before school starts back. It is best to gradually readjust the bedtime one to two weeks before school starts so that the kids are going to bed 15 minutes earlier every couple of nights until the desired bedtime is reached.